The Kim Kardashian robbery reeks of an inside job ... sources say that's what Paris cops think. 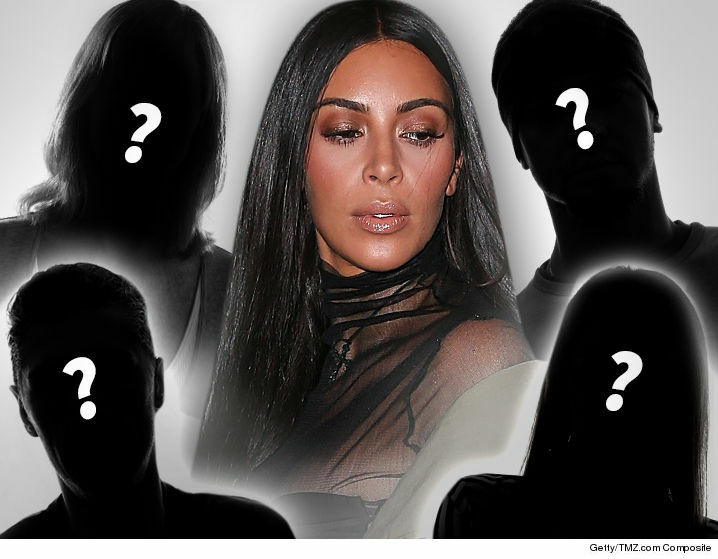 Sources involved in the case tell us ... police and the Kardashian family don't believe it was a coincidence that Kim was bodyguard-less at the time the robbers showed up and somehow made their way into her apartment ... they think the robbers were tipped off it was the right time to strike. There was a very small window when the robbers had easy access. Kim had friends over until shortly before the incident went down. Kim's bodyguard was always by her side -- to the point Kim joked that it got annoying -- except for the few hours he left to protect Kourtney and Kendall in a nearby nightclub. The Kardashians are in no way suggesting the bodyguard was in on it ... in fact, they say they know he wasn't. But they are convinced someone tipped off the robbers to strike at precisely the moment they could get in and out without detection. As we reported ... robbers confronted the concierge at gunpoint in the lobby and he let them up to Kim's unit. We're told when the robbers left with the jewelry, they took the concierge back downstairs. We're told if there was a tip-off person, there's a long suspect list ... there are multiple units in the building and lots of people involved in Paris Fashion Week knew Kim's comings and goings. Our sources say cops are in the process of checking phone records of various people in and around the building to track suspicious activity.